Ahead of Coachella this weekend we've outlined some key trends, based on global search data, that we predict will dominate this festival season. To compile these insights Lyst analysed spikes in search over the last three months, as well as ongoing shifts and macro trends over the last 5 years. Collectively, searches including the term “Navajo” “Cherokee” and “Native American” have decreased 218% in the last 3 years. There are currently no feather headdresses, or war bonnets, available across Lyst’s 12,000 partner retailers worldwide. 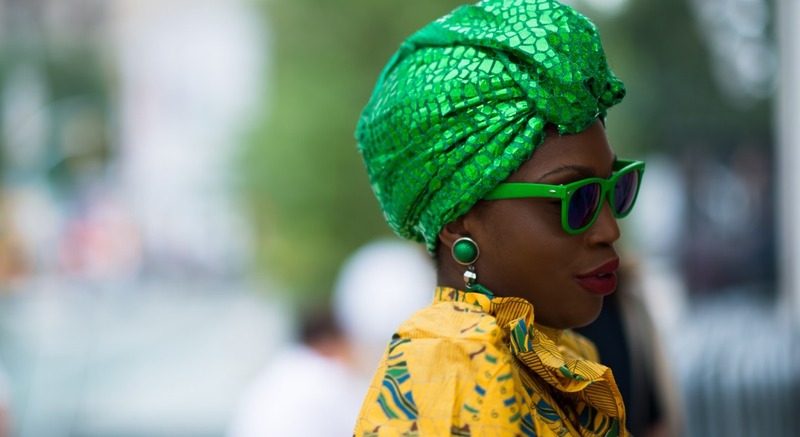 Searches for “African” or “tribal” print clothes and accessories are down 20% year on year. That being said, we do predict a lot of Eastern-inspired looks at Coachella; searches for kimonos are up 14% year on year, with the most wanted kimonos this festival season coming from Free People and TOPSHOP. Searches for flower crowns are down 18% on this time last year. Expect them to be replaced with bright head scarves and bandanas. However, Gucci’s controversial ‘fashion turbans’ are currently trending in California. Short ruffle wrap dresses have replaced flowing maxi styles as the festival dress of choice. Printed wrap dresses by Reformation, ASOS and Rixo are the most wanted festival dresses ahead of Coachella this weekend. Collectively, searches including traditionally popular festival trends “crochet” “boho” and ‘hippie” are down 34% compared to this time last year. A tougher, streetwear-led aesthetic will dominate the festival fashion agenda. Searches including “camo” have increased 16% in the last month. Mesh body suits and athletic sports bras are trending worldwide, replacing last year’s pretty bralettes. The belt bag has moved from practical festival accessory to high-fashion status symbol, searched every 3 minutes last week. 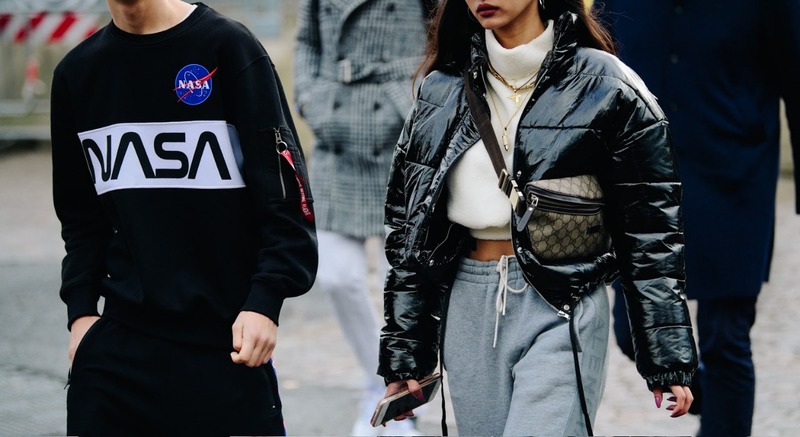 Cult logo pieces by Off-White and Balenciaga are amongst the most wanted fashion items worldwide right now and will undoubtedly be all over the Coachella street-style shots. Last year Rihanna sent searches soaring for the Gucci logo T-shirt, this year we predict you’ll see a lot of adidas and Fendi, worn with attitude. Expect to see a lot of tiny fashion sunglasses at ‘Chella. While last year was all about round lens, colored and mirrored frames, this season, small, dark Matrix-esque shades have seen a huge surge in demand over the last 3 months, across all price points. In the last week Lyst has seen one search for ‘small sunglasses’ every 4 minutes. Chunky ‘ugly’ sneakers are officially the most fashionable, and practical, choice for festival goers this Summer. Lyst is seeing in excess of 2,000 searches a day for specific, coveted chunky styles. You can expect to see the cult Balenciaga Triple S sneakers all over Instagram again, while searches for the more affordable Fila Disruptors have increased 105% in the last month. Meanwhile searches for former festival footwear favorite the gladiator sandal are way down. And finally, look out for boys in boilersuits . A$AP Rocky wore a custom boilersuit on the Jimmy Fallon show last week, and we’ve noticed a serious spike in searches for men’s boilersuits since. This black ASOS boilersuit has seen a 130% increase in views in the last 3 days. We predict some of the most stylish guys in the desert will be wearing boilersuits this weekend.